Amid the battle heating up between Ripple and SWIFT over payments infrastructure, SendFriend, a Ripple partner, gets funding for its cross-border payments efforts. Elsewhere, MUFG forges ahead with blockchain-based payment efforts. The movement toward cross-border payments — done digitally, at lower cost and completed faster — is an inexorable one. Headlines in recent weeks have centered on the efforts by Ripple and messaging service SWIFT to improve cross-border money transfer activities. As noted in the American Banker, SWIFT has maintained that Ripple has not set up relationships with firms that can navigate regulatory hurdles. SWIFT said its own global payments innovation (gpi) offerings succeed in clearing those complexities, and that hundreds of banks have signed on with gpi. Ripple, though, has touted its own successes in the marketplace as banks sign on to RippleNet. 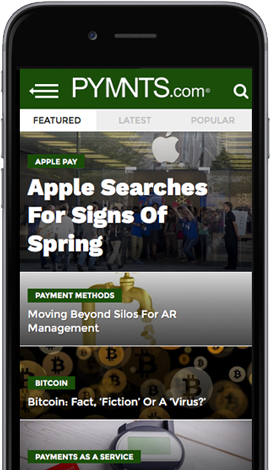 To that end, news came this week that Ripple partner SendFriend, focused on cross-border payments, has garnered $1.7 million in funding as part of a first round, led by a consortium including Barclays, MIT Media Lab and others. The remittance company is focusing on sending funds and making the leap from U.S. dollars to Philippine pesos. As noted by AMBCrypto, remittances done by traditional means have seen hiccups — as in a lack of transparency and a relatively high fee structure. Out of $650 billion in remittances tied to the U.S., said the site, $45 billion is lost in fees. According to the reports, SendFriend is using Ripple’s xRapid payment offering. In terms of process, U.S. dollars are converted to XRP, which then moves across exchanges to be converted again, this time into pesos. SendFriend CEO David Lighton said the company uses blockchain to “create an instant digital money transfer service, a full 65 percent cheaper than the industry’s average.” He added that the service would go live in Q1. Separately, but also tied to Ripple, a foreign exchange (FX) company based in the United Arab Emirates (UAE) — Finablr — has begun using Ripple’s blockchain offerings for cross-border payments. The initial foray will entail Finablr making payments to Thailand, with an eye toward expanding elsewhere afterward. As part of the agreement, Finablr is working with Siam Commercial Bank, reported Cryptocoin Spy. Finablr Executive Director and CEO Promoth Manghat said “The adoption of blockchain opens up considerable potential to streamline remittances, and provide a frictionless, fast and secure payments experience.” The announcement comes as remittance payments between UAE and South Asia grew by more than 13 percent last year. In terms of blockchain adoption, the fifth-largest bank in the world — Mitsubishi UFJ Financial Group — has linked with Akamai to bring blockchain-based payments to market next year. As reported by CoinDesk, Mitsubishi, the largest bank in Japan, will launch the “Global Open Network” during the first half of next year. The companies have said that the system will be able to process as many as 1 million transactions per second, and may integrate the Internet of Things (IoT) and the Akamai cloud platform into the Global Open Network. The site reported that the network will launch with about $2.2 million worth of capital, and Mitsubishi will have an 80 percent stake, Akamai the remainder. In November, the bank said it was part of a pilot that used blockchain for a syndicated $150 million loan, in an effort that also involved BBVA and BNP Paribas.